The Ombudsman ruled on Thursday 14 March that Gen Prayut Chan-o-cha is not a government official, and therefore may run as a candidate for Prime Minister. But Sombat Boonngamanong has taken the opportunity to point out that in the Supreme Court ruling on his case, Prayut was considered a government official. Sombat Boonngamanong submit a letter. Sombat Boonngamanong, leader of the Gian Party and a prominent political activist, went to the Election Commission of Thailand (ECT) last Friday (15 March) to submit a letter saying that he was willing to be a witness in the case of Gen. Prayut Chan-o-cha. He insisted that NCPO had sued him on the grounds that Gen Prayut is a government official and the Supreme Court has already ruled in favour of the NCPO. Wearing a pirate hat, Sombat claimed that he did not come to protest, but to insist that Prayut is not a government official, putting Prayut in a no-win situation. If he is a government official, he cannot run for PM; if he is not, Sombat’s sentence for failing to report to the NCPO under NCPO Order 3/2014, should be cancelled. Sombat claimed that because the Head of the NCPO is not an official, as the Ombudsman found, Sombat did not have to follow the NCPO Order. However, the Court of First Instance, the Appeal Court, and the Supreme Court all ruled that Gen Prayut, as the head of the NCPO, has legal authority and is therefore an official. He was given a suspended sentence of 2 months’ imprisonment and fined 3,000 baht. Last Thursday, Raksagecha Chaechai, Secretary-General of the Office of Ombudsman, ruled that Gen Prayut is not a government official. The Palang Pracharat Party (PPRP) therefore did not violate any regulation by nominating him as its candidate for Prime Minister. This ruling was a response to the 5 March complaint filed by Srisuwan Janya, Secretary-General of the Association for the Protection of the Constitution, against the PPRP for nominating Gen Prayut. 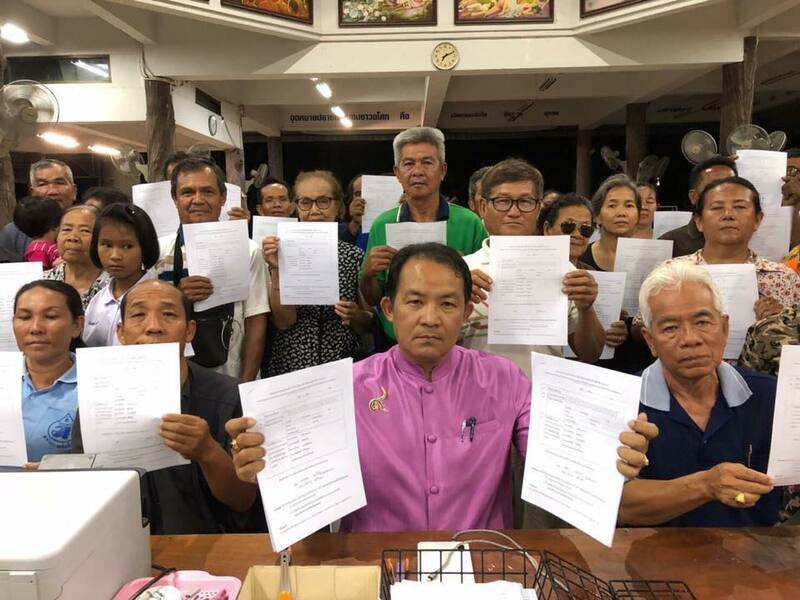 Srisuwan claimed that because Gen Prayut is a government official, he is barred from running as candidate for Prime Minister and the PPRP had violated Sections 88, 89, and 160 of the 2017 Constitution, which prohibit government officials from running as candidates for Prime Minister. Since the head of the NCPO was royally appointed, Gen Prayut was not legally appointed or elected, and since the NCPO operates outside of state authority, he does not meet two of the criteria for a government official and is therefore allowed to run as candidate for Prime Minister. 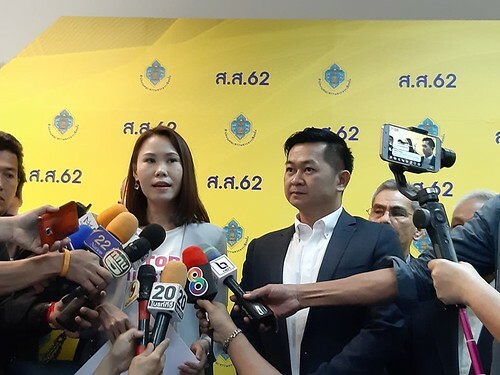 Earlier, on 13 March, Ruengkrai Leekitwattana, former MP candidate for the now dissolved Thai Raksa Chart Party (TRC), filed a request with the ECT asking them to speed up their investigation of his earlier submission that Gen Prayut is not qualified to run as candidate for Prime Minister under Section 98 Clause 15 of the 2017 Constitution. He said that he filed his request on 11 February, but the ECT had not informed him what action had been taken. Ruengkrai also filed additional evidence with the ECT from the court ruling in the case of Sombat Boonngamanong. 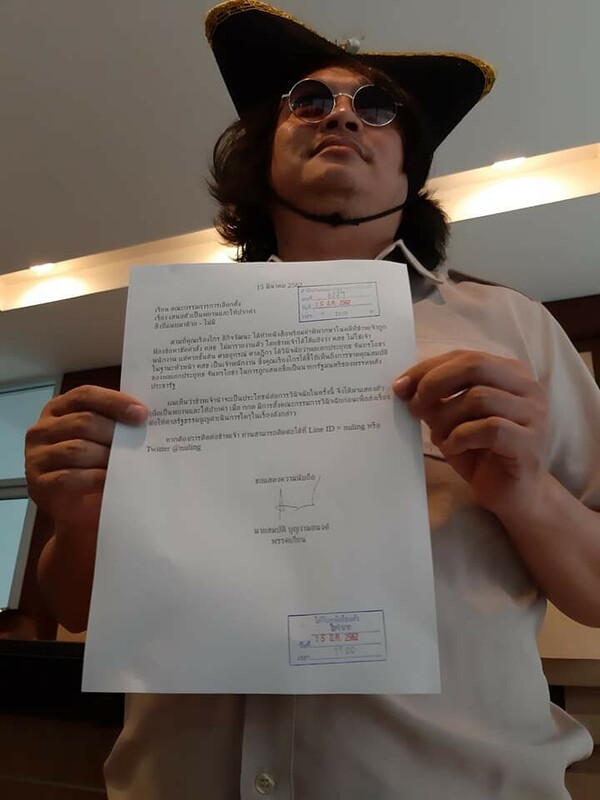 On 15 March, activist Nuttaa Mahattana and Winyat Chatmontri, Secretary-General of the United Lawyers for Rights and Liberty, submitted a letter to the ECT asking them to work for a fair election, and to investigate the anti-democratic actions of the PPRP as quickly as the ECT has investigated complaints against anti-NCPO parties. Nuttaa also asked the ECT not to turn a blind eye to election fraud and other issues faced by voters, such as the difficulties faced by overseas voters. Meanwhile, Winyat said that the Office of the Ombudsman has acted beyond its authority in ruling that Gen Prayut is not a government official. He said that only a court and the ECT have the authority to make such a ruling. He said that Gen Prayut knows which kind of official he himself is, and if the ECT was not able to explain this matter before advance voting on 17 March, this can be considered an abuse of function. Winyat said that he also filed a complaint with the ECT on 15 February against Gen Prayut’s nomination for Prime Minister by the PPRP, but so far, no action has been taken.